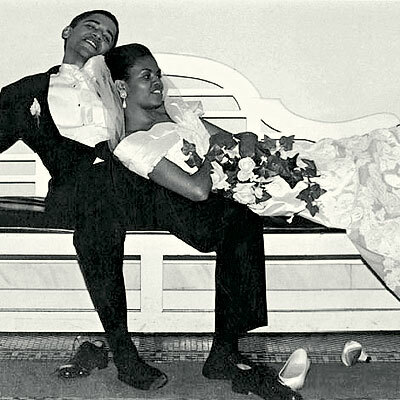 Michelle Obama famously forgot her first wedding anniversary to her hubby, Barack. The week of the couple's first marriage milestone, as Michelle recalled on "The View," "He asked me, 'Well, what are we going to do on Saturday?' And I go, 'What's Saturday?' And it was our anniversary -- I forgot." Barack's response? "Cold." The first lady has gotten better at remembering the special day, particularly this year: it's the Obamas 20th anniversary, marking two decades since the pair got hitched at Trinity United Church in Chicago on October 3, 1992. Mazel tov! Unfortunately, despite the special status of this particular date -- and the president's confirmed romantic side -- the pair will have to postpone their celebration: tonight just so happens to be the first presidential debate.